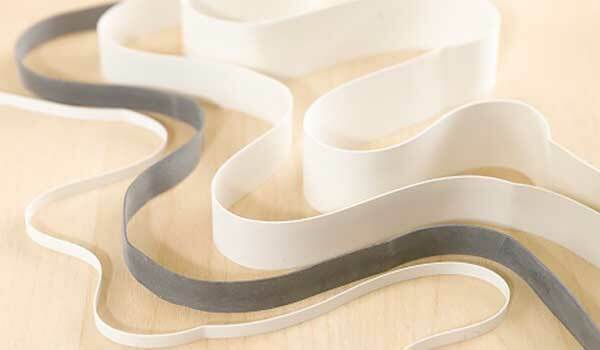 Texstrip’s TE and THH rubber tapes or strips, are produced from natural or synthetic rubber. These superior quality tapes or strips are widely used in swimwear, men and ladies briefs, disposable garments, fitted bed sheets, cushion cover, shower caps and goggles. It is also commonly used as rubber gaskets in industrial assembly. These tapes could be formulated to customer’s specifications such as color, thickness, width and lubrication. For enquiry, please contact us.